© Tolga Bozoglu/EPA, via Shutterstock A protester held a picture of missing Saudi journalist Jamal Khashoggi during a demonstration in front of the Saudi consulate in Istanbul on Monday. Jamal Khashoggi and I met at a conference in Istanbul in May. I was familiar with his work because I am interested in the Middle East and the Gulf region. We spoke for about half an hour about politics. Jamal talked about the extraordinary transformation taking place in Saudi Arabia, his native country, and how it made him anxious. Afterward, I wrote to him to thank him for the conversation. We continued our dialogue, which quickly evolved into an emotional relationship. I admired his personality: his wisdom and courage to raise political questions in our part of the world. We connected over our shared passion for democracy, human rights and freedom of expression — the fundamental principles for which he fought. Jamal’s family was originally from the Turkish city of Kayseri. For more than 30 years, he worked as a journalist. He was a reporter for the Saudi Gazette and other publications, a top editor at Arab News and Al Watan newspapers, he ran a television network, wrote columns, and advised some of Saudi Arabia’s most prominent leaders and policymakers — including Prince Turki al-Faisal, the country’s former intelligence chief. He traveled widely across the world, but loved Saudi Arabia more than anywhere else. Yet there was no room left in his native country for him. He fled Saudi Arabia with two suitcases amid a crackdown on intellectuals and activists who criticized Crown Prince Mohammed bin Salman. Yet Jamal was a patriot. When people referred to him as a dissident, he would reject that definition. “I am an independent journalist using his pen for the good of his country,” he would say. He left Saudi Arabia because it was the only way he could write and speak about issues and ideas that he cared about, and to work without compromising his dignity. At moments of distress, he would think about his jailed friends back home, and try to console himself by saying, “at least I can still write freely at the moment.” But he had nightmares, full of their voices and silhouettes. Whenever I would call him in the morning, Jamal would say my voice brought a smile to his face. Having not heard from him in days, now I understand better what he meant. What was most endearing about Jamal was his honesty, openheartedness and warmth. As we got to know each other, I began to see him, not merely as the sharp, accomplished journalist and thinker that the world knew, but also a sensitive man who moved through the world with a piercing, painful longing for his home. He often spoke of his desire to be able to walk through the streets of Medina, where he was born and raised, and spend hours talking with his friends. He had been living and working in Washington, D.C., for more than a year. “This life away from home, my family and friends, and the spiritual atmosphere of my country, is too heavy a burden,” he told me once. Indeed, he felt very lonely: “Dear Hatice, I have my health and everything else, but I have nobody to share life with.” All he wanted from his partner in life was love, respect and companionship. Our love and our dreams of a new life together brought him from Washington to Istanbul, to get the required documents for our marriage. The hope of spending the rest of our lives together happily motivated Jamal to walk into the Saudi consulate building on that fateful afternoon, Oct. 2. Jamal and I had many dreams, but the most important one was to build a home together. Sometimes he would talk about his friends in the United States and speak about how he would want me to meet them after our marriage. Almost every day he said he would wish to wake up in the morning knowing he was not alone. Despite dealing with such intense emotions, Jamal never bothered others with his problems. He always tried to remain as strong as a mountain. He was cheerful the morning we were going to the Saudi consulate to get a document certifying his divorce. I decided not to go to my university that day, and we traveled there together. He had no foreboding of what was to come. 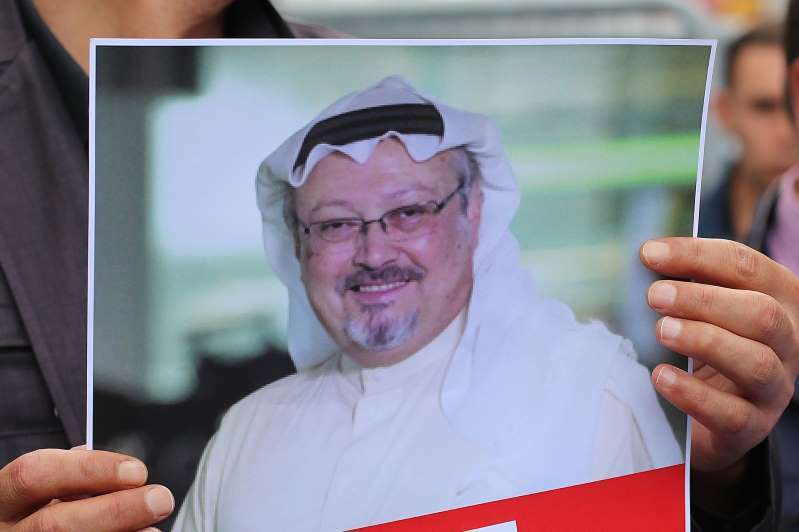 The consular official, who had informed him that the paperwork had come through, had told him to be at the Saudi consulate at 1 p.m.
On our way there, we made plans for the rest of the day. We were going to browse appliances for our new home and meet with our friends and family members over dinner. When we arrived at the consulate, he went right in. He told me to alert the Turkish authorities if I did not hear from him soon. Had I known it would be the last time I would see Jamal, I would have rather entered the Saudi consulate myself. The rest is history: He never walked out of that building. And with him, I also got lost there. Since then, I have been thinking that Jamal and I are no longer in the same world. I keep asking the same questions to myself: Where is he? Is he alive? If he is alive, how is he? Today is Jamal’s birthday. I had planned a party, inviting his closest friends to surround him with the love and warmth that he had missed. We would have been married now. Twelve days have passed. I have been waking up every morning hoping to hear from him. The speculations about his fate have not been confirmed by the authorities, but the silence of Saudi Arabia fills me with dread. That haunting question doesn’t leave me for a single moment: Is it true? Have they assassinated Jamal? If the allegations are true, and Jamal has been murdered by the errand boys of Mohammed bin Salman, he is already a martyr. His loss is not just mine but that of every person with a conscience and moral compass. If we have already lost Jamal, then condemnation is not enough. The people who took him from us, irrespective of their political positions, must be held accountable and punished to the full extent of the law. In recent days, I saw reports about President Trump wanting to invite me to the White House. If he makes a genuine contribution to the efforts to reveal what happened inside the Saudi consulate in Istanbul that day, I will consider accepting his invitation. Jamal spoke up against oppression, but he paid for the Saudi people’s demand for freedom with his own life. If he is dead, and I hope that is not the case, thousands of Jamals will be born today, on his birthday. His voice and his ideas will reverberate, from Turkey to Saudi Arabia, and across the world. Oppression never lasts forever. Tyrants eventually pay for their sins.